Strange things seem to happen to me every time I head into the lesser known parts of the Swiss Alps. Last time it was witnessing the sight of a full blown Swiss Scottish bag pipe marching band playing lesser indie pop hits from the 1980's. This time it is to be the chance to lodge in a working nuclear bunker. 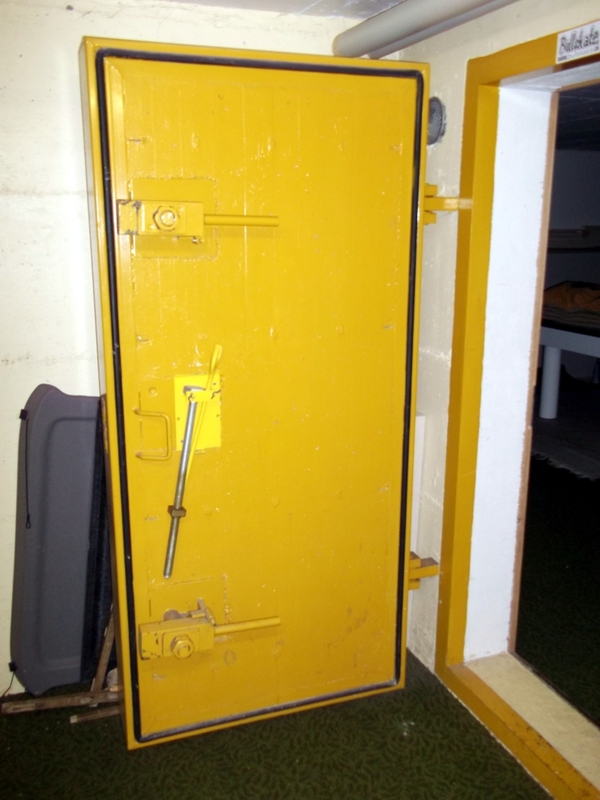 From the 1950s to the 1980s those canny Swiss, having witnessed the sabre rattling of the United States of America and Russia, decided that all new properties required a fully functional bunker capable of surviving the ultimate form of combat. Presumably, once the fallout had settled and radiation levels were tolerable, Swiss post nuclear families with the right dynamic for the New Frontier could emerge to a post holocaust nuclear winter pumped for some epic ski adventures. So what is it like? Well one enters a normal Swiss chalet and heads down an innocuous looking staircase to the utility room. There it is, a massive 6" thick bright orange blast door, passing through the door the air is tainted with the smell of damp earth and stinky ski boots. The place is filled with a random collection of junk and souvenirs of abandoned hobbies. Much more terrifying than the nasty whiffs are the cold war accoutrements, such as; the air filtration system capable of manual activation, once the first high altitude air burst emf device fried the entire European electrical grid. If they finally went and pushed the button, how would we pass the time waiting for the all clear? How much Toblerone, Museli and Emmental cheese could one eat before the attraction waned? The owner of the bunker provided the answer, we only keep it stocked up with booze, if it is ever needed... I want to be very, very drunk.